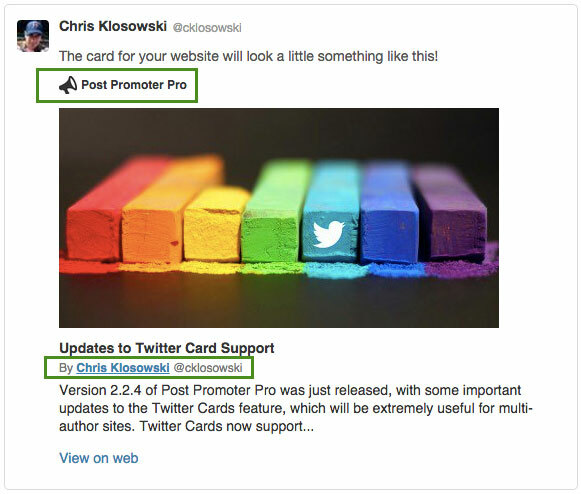 Version 2.2.4 of Post Promoter Pro was just released, with some important updates to the Twitter Cards feature, which will be extremely useful for multi-author sites. 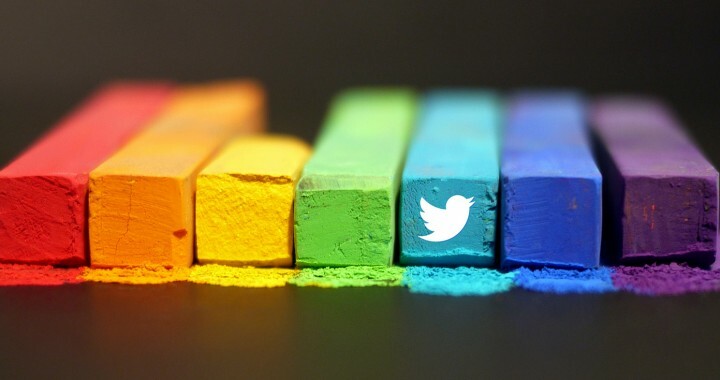 The Twitter Cards feature now support the ‘Creator’ attribute, meaning that while a story may be associated to the primary sites’ Twitter account, you can have your authors get some recognition by being designated the creator of the content on Twitter, helping expose them to a larger audience. This is an example of a card showing both the Site and Creator values. If you have a plugin that already registers the Twitter contact method the label may be slightly different, but this should not cause any conflicts. Last version, there was an update to the Twitter interface giving character counts. Version 2.2.4 fixes a few minor bugs to enhance this experience, as well as accounting for attached images in the Tweet length, when added. These updates should show up in your WordPress admin shortly if you have a valid license key, but as always, you can download the files directly from your account as well.